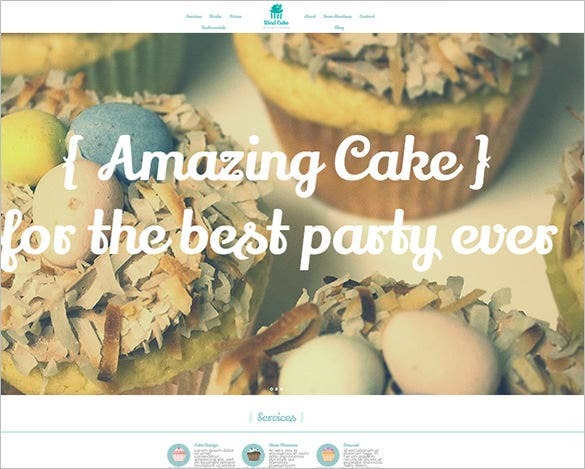 When you need to create a website for the bakery, coffee shop, bar, bistro, restaurant and other similar companies, use the free commercial themes available for download. You can choose from the best responsive themes which come with multiple layout style with pre-defined colour variants. The support and design features include custom built menus, contact pages, gallery pages and other related items. 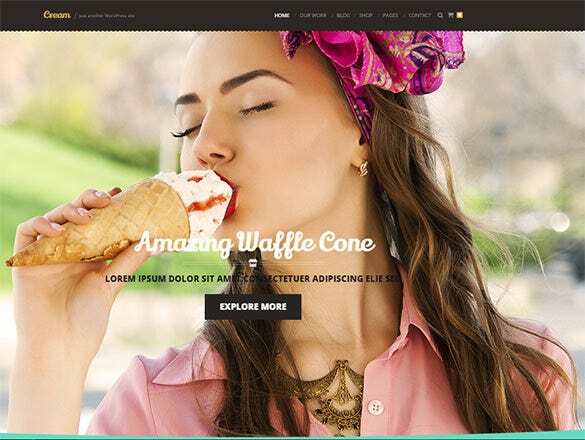 You can also see Best WordPress Themes. 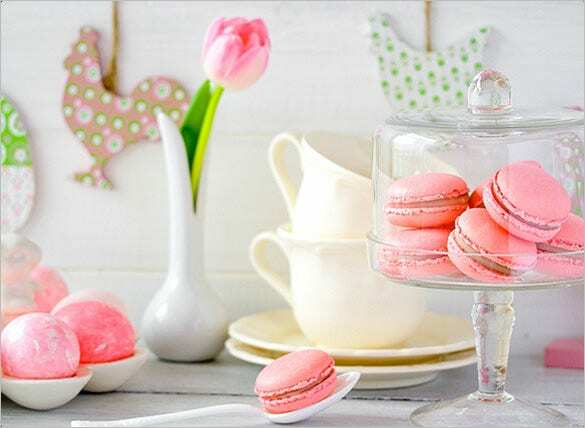 Out of the many commercial themes available online, sweets and cakes wordpress theme has a beautiful interface and easy to use. Some of the best features of this theme include advanced options in themes and ability to use cross browser. 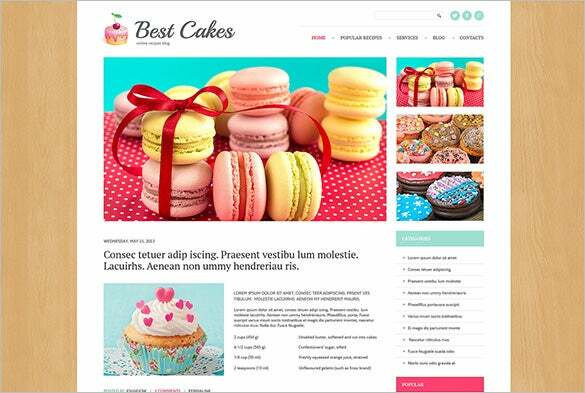 This template is best suitable if one needs to create a website for bakery, cake shop, bistro, café, ice cream parlors, and restaurants. It’s a visual treat to have such a beautiful website and icons.It is worth using this theme. 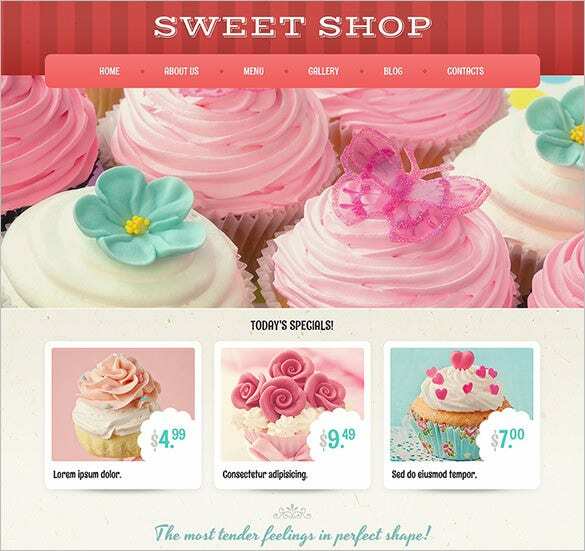 This fully customizable sweet shop or bakery design is one of the most responsive designs. This theme supported by many languages, has near about 85-90 short codes. This theme has many layouts and comes in different colors. This theme best suitable for food related businesses consists of many other themes, in different style and color. This highly responsive design is optimized for search engines. Most of the restaurants, ice cream shops, café, sweet shops and delis would like to opt for this theme. This theme is exclusively designed for bakery and cake products. The designed themes are very cute and tempting. One can find many unique things on the template. The colors usage and handwritten formatting increase the appeal of this template. 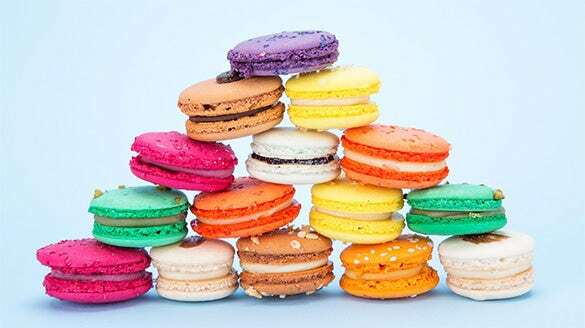 This appealing theme consists of delicious macaroons arranged in different styles and colors. This design is specially designed for retina displays. It is provided with an extra section for videos. With full of different effects and limitless cool icons; this design is perfect for highly skilled bakers. 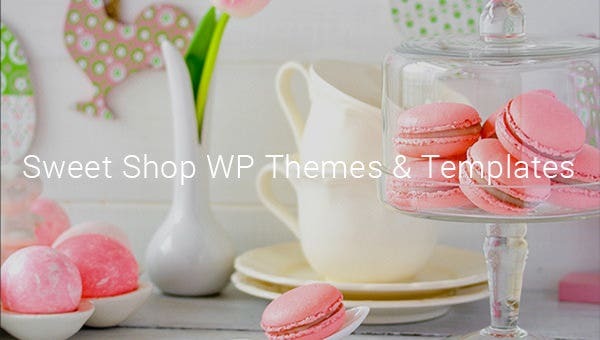 Gift shops, bakeries, cafes and delis can opt for this wordpress theme. This one-page theme comes in different colors. One can add some of the features like drop down menus, font style and add more pictures. To enhance overall appeal, different color icons can be used as well. With the highly customizable content management system, you can customise the website for the mobile devices as well. Check preview to get the correct idea; the templates can be easily be changed if required. Visual composer, revolution sliders and home carousels help to create responsive designs. 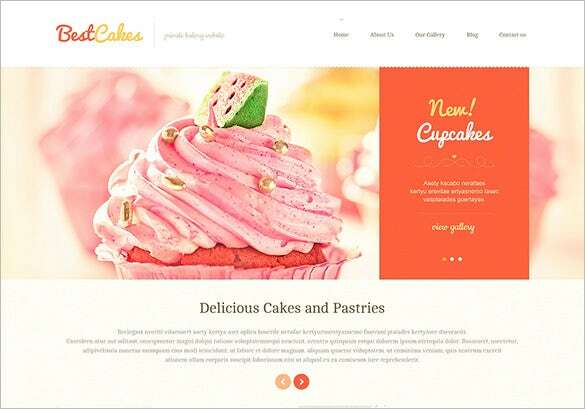 Now cake shops, ice cream parlors, café, and deli have easy options to design their website. These classy yet relevant sweet shop templates help shop owners to show case their talent in the best possible way.